What’s the next big thing in real estate? Fewer people live in each household than ever before, houses are built bigger than ever before, and people are complaining about their commutes and lack of community life. Can the housing industry do better? Can we create better community spaces? If your top priority is living in a safe, walkable neighborhood, what are your choices? These are some projects on the way to the answer. What do you do when you work for yourself, but want a work community? Coworking provides the best of both worlds. 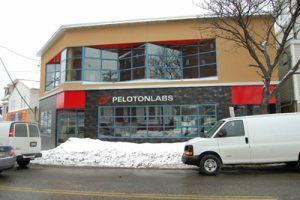 In 2011 we opened this new construction project at the Binga’s Winga’s site in Bramhall Square, Portland, to create a two-story, 4,600 SF Coworking facility. Ecolofts consulted on concept, membership community development, management plan, and creating reciprocal relationships with area agencies and businesses. The business is currently owned and managed by Liz Trice. 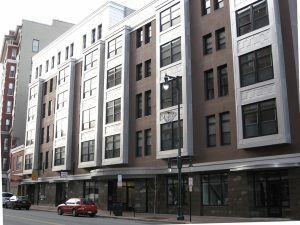 This project is a conversion of a downtown college dormitory to 55 one bedroom and studio apartments with retail on the first floor. Ecolofts housing worked on the initial concept, developing relationships and communication with neighbors and businesses, creating a bike storage and parking plan, conducted a market analysis, created a community management plan, and assisted with lease-up. This project was completed in January 2010 and is fully leased up. 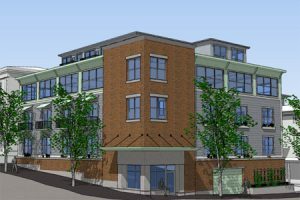 This is a innovative, 26 unit condo development in downtown Portland, Maine intended to feature loft studio condos starting at 450 SF and $142,000. The project is the first in the city to charge separately for parking, and was required to build less than one space per unit due to an innovative car-sharing program. Ecolofts Housing worked on the initial concept, interior design and layout, and developed educational materials for the planning board, city council, and staff regarding the impacts that parking requirements have on the cost of units, and the prevalence of car-free urban singles.The zoning was approved, and the project was put on hold in 2009 and sold to another developer, who built the project in 2012. Conducted interviews with town managers and staff in 14 municipalities to assess for current availability of public health services and likely candidates for regional public health services. Worked with head of Portland Public Health to establish regional coordinating council. Worked with Planning Decisions and Cumberland County to create new regional program, creating new governance structure to involve 27 municipalities, and bringing in $2M annually.